Fixed button styles in Mozilla and Webkit browsers. Updated jQuery to WP default. Updated “register_nav_menus()” fixing issue with some installs not saving menu locations. Fixed typo in meta boxes file. Fixed comment link removal in ribbon for comments disabled. Shortcodes have been added to the theme! You can now style content and create page layouts using shortcodes. This makes it much easier to create multi-column layouts and much more. Video support for portfolio items! This has been a highly requested feature that I’m happy to say is included in this update. Create unlimited blog pages! Another feature that many have asked for, you can now create custom blog pages, as many as you like. Added a shortcode button on WordPress editor to quickly apply shortcodes and as a reference of the available shortcodes. Improved portfolio database structure. This makes it easier to create and edit your portfolios. Performance improvements for faster loading. Translation ready! Something many users requested, the theme now uses GNU gettext localization to allow easy translation. 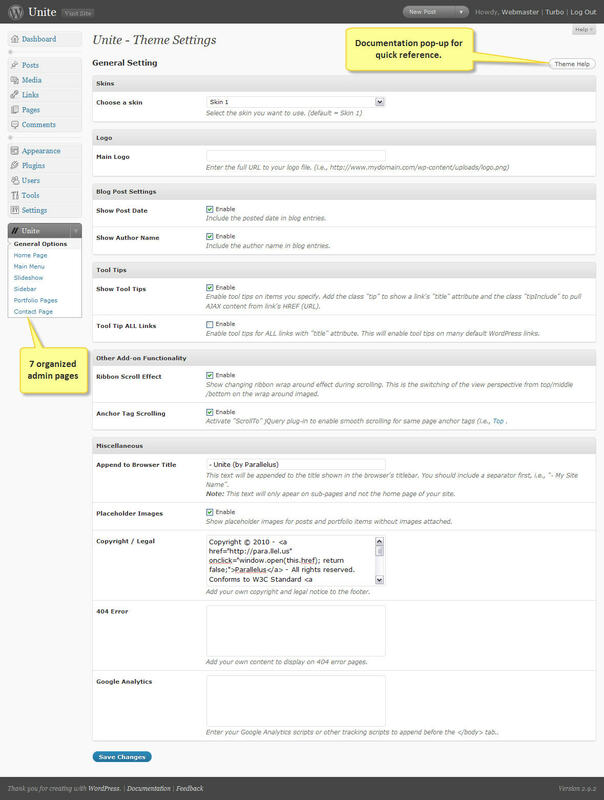 Added support WordPress 3 Menu Manager. New theme option to enable/disable font replacement usage. 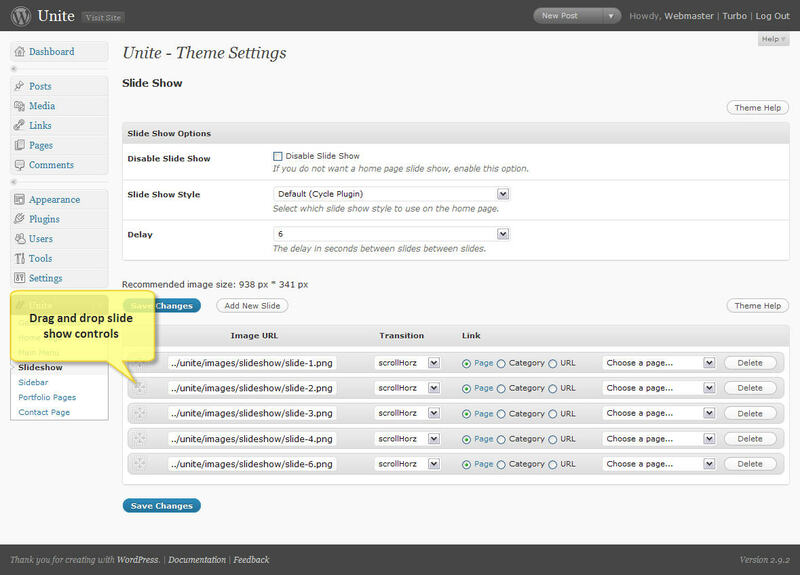 New theme option to enable/disable breadcrumbs on any page/post or globally. The layout issue for portfolio items with wrapping titles has been fixed. Fixed bug with calling ”#popup” to no longer require adding class “iframe”. Fixed the bug related to button styles causing errors with some plugins. Fixed bug with contact form “thank you” message containing single quotes.